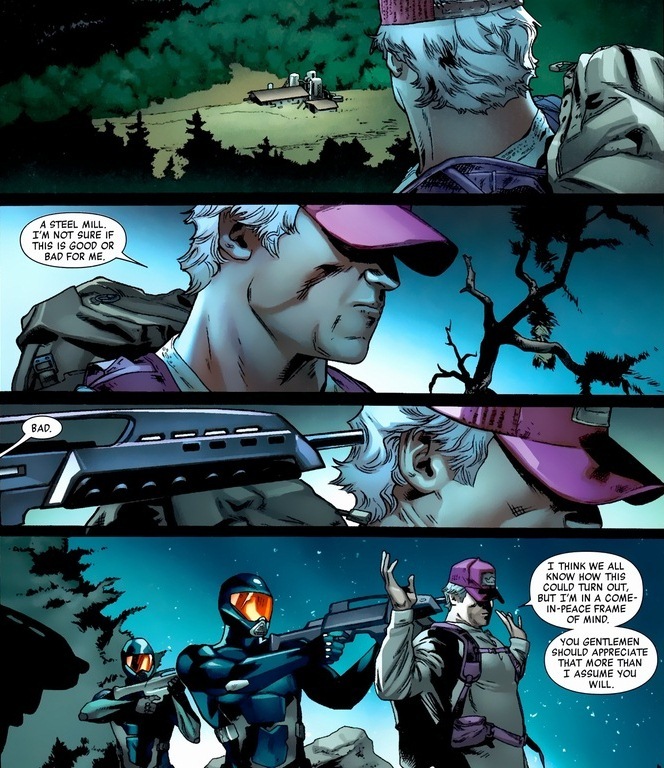 You don’t have to look far and deep to find proof of Magneto’s villainy. The master of magnetism commands absolute power of metal, magnetic fields, and probably stuff like blood pressure and mercury poisoning. He’s not a good man, broken by the atrocities he experienced in the Holocaust and from his misguided attempts at mutant superiority through blood and war. 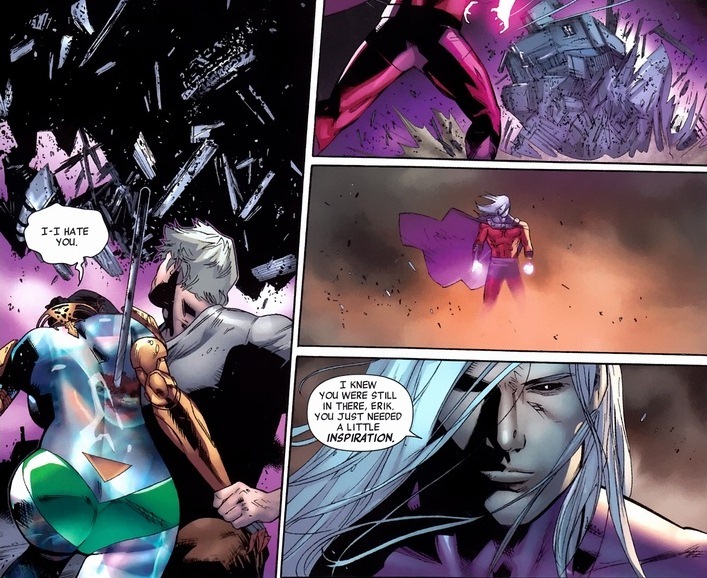 Magneto certainly claims the title of the most influential and dangerous enemy the X-Men have ever fought. But not anymore. 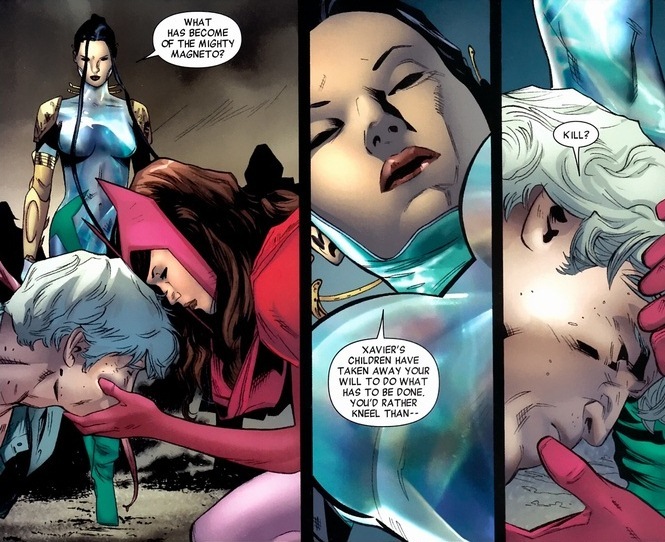 Nope, now Magneto’s an actual X-Man, dating Rogue (half his age), and saving mutantkind from evildoers. Except as much as he fights alongside Cyclops, Wolverine, and the gang, 70 years of bad behavior isn’t going to disappear overnight. 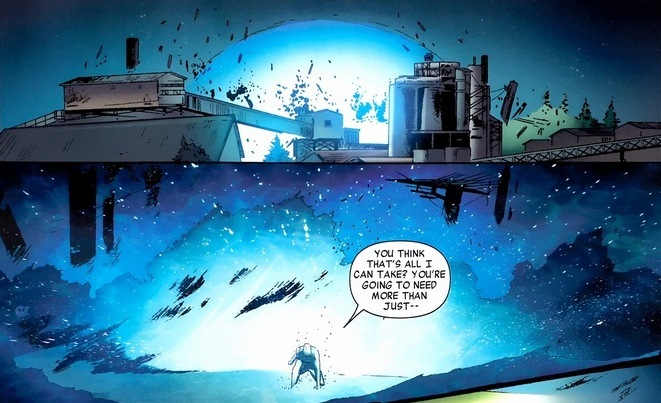 And unfortunately, something to reinforce that happened recently in the Magneto: Not a Hero miniseries, written by Skottie Young and drawn by Clay Mann. I get it. Mutants are really easy to hate. They have scary powers. Some have scales and feathers. But think about it: how many of the mutants, if they really put forth effort, can take down, say, a tank? Like half, right? 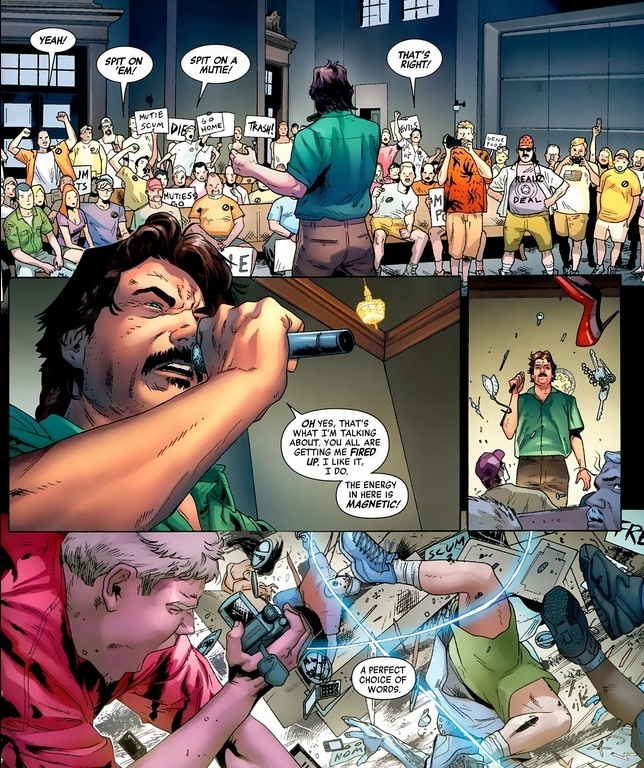 If every time someone makes a mutant hate speech, there’s an actual substantial risk that a bird man can fly in and drop off an egg that shoots lasers or whatever, how often would these little get-togethers happen? And unfortunately, these bigoted jerks have to learn that lesson the hard way. You’re a perceptive audience. You’ve noticed the title of the article and can safely assume that’s not the Magneto we know and love. Definitely not the Magneto who’s dating the fiery crawfish and shoved it in Gambit’s smug handsome face. Looks like the X-Men have to do a little PR. 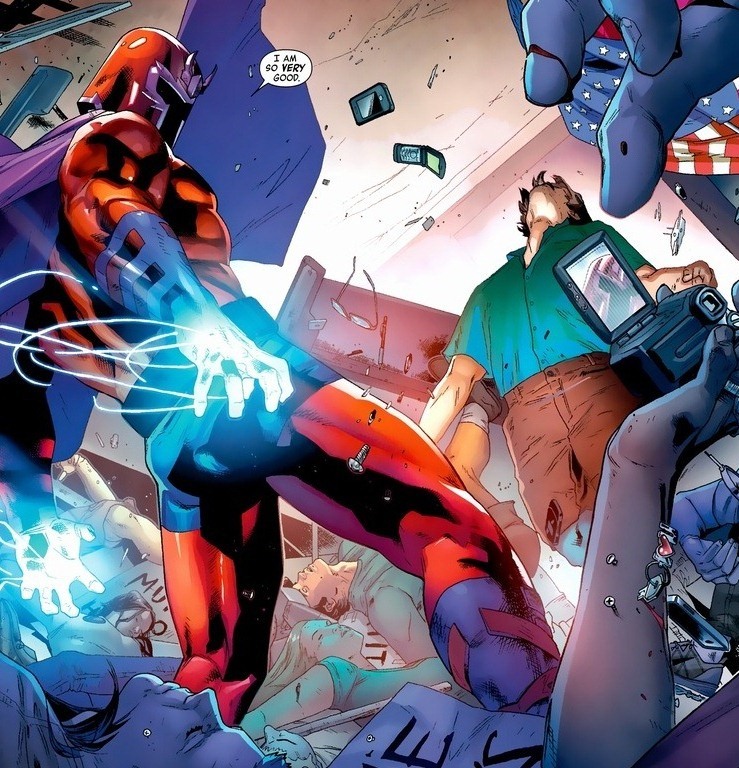 So Magneto, not quite as intimidating in a purple button-down, has to go find and deal with this impostor before the Avengers are forced to take action against the X-Men. 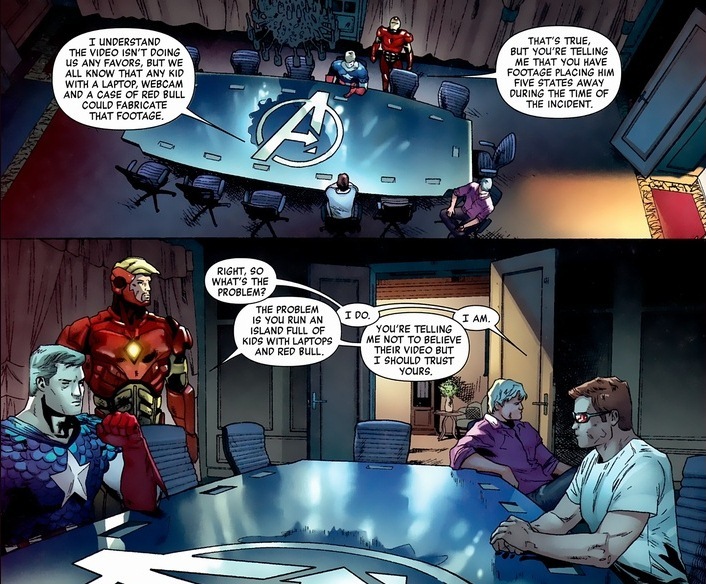 I mean, the Avengers do take action against the X-Men, but that’s a totally different Marvel event. And that event has way less metal chucking. Enjoy monologues by crazy supervillains? I hope so. Evil plans don’t explain themselves. Good advice for later: clones don’t like to be reminded they’re inferior. Probably the same way with twins. 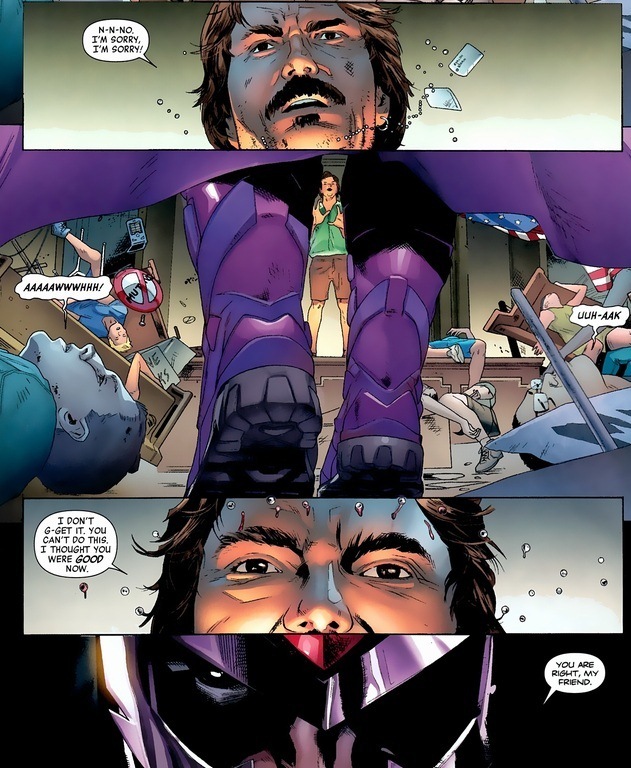 Unfortunately, Joseph is every bit as strong as Magneto. 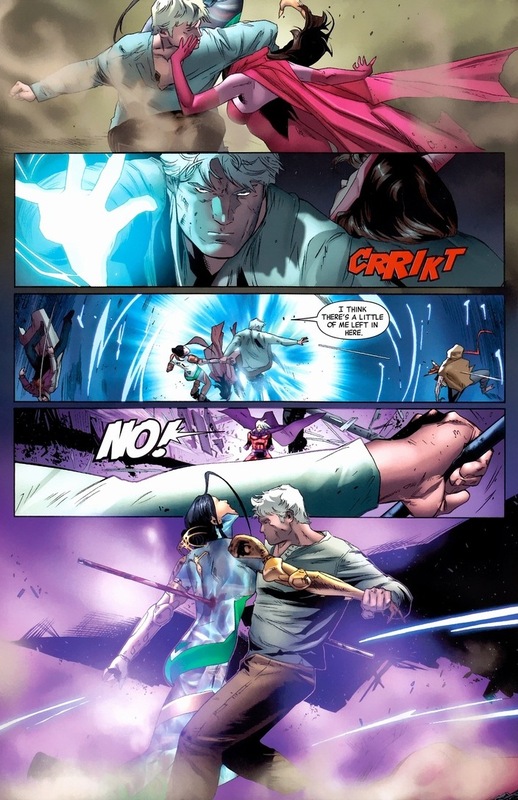 And just as important, you only get to sucker punch Magneto once. 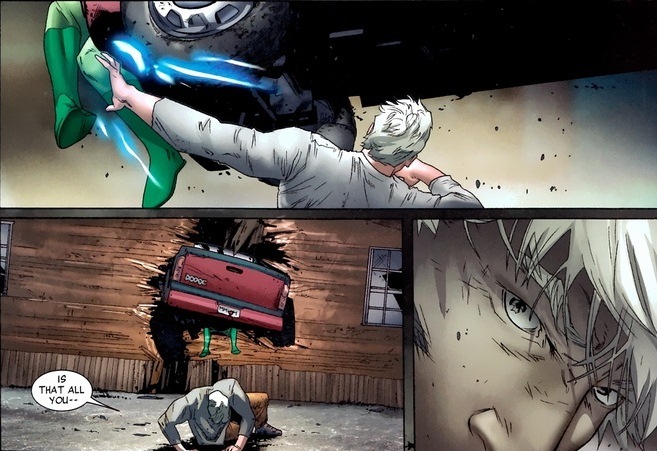 Have you ever read a superhero comic where the protagonist faces even odds? Of course not. Superhero stories are fun because the good guys are always outmatched. But what’s so terrifying about a clone? Well, what about plural? 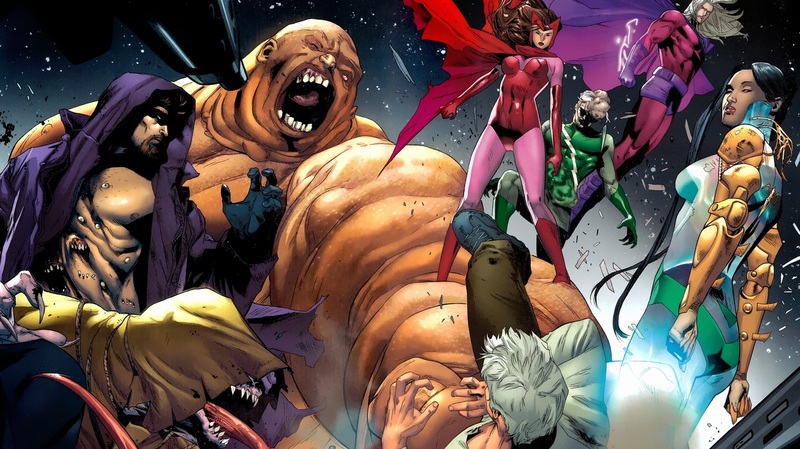 An entire (deformed) Brotherhood of Mutants! 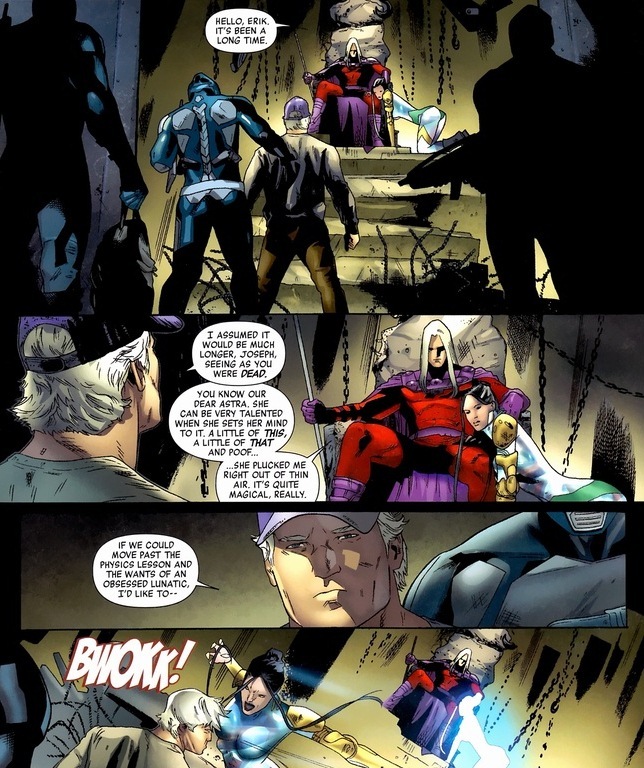 Magneto gets to fight his old gang while wearing slacks and a t-shirt. Though, let’s make one thing clear. 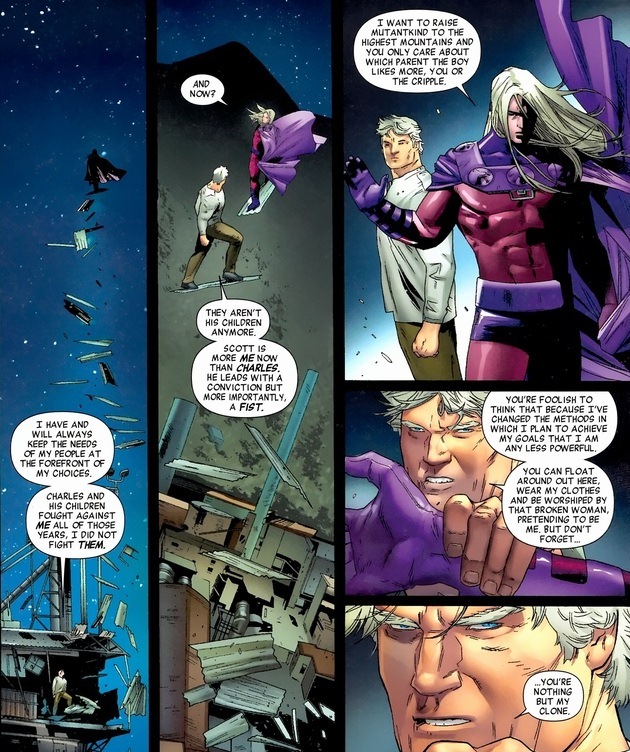 There’s a reason Magneto led the team. Despite his fancy X-Men membership card, killing dangerous and evil bad guys isn’t really a deal breaker. 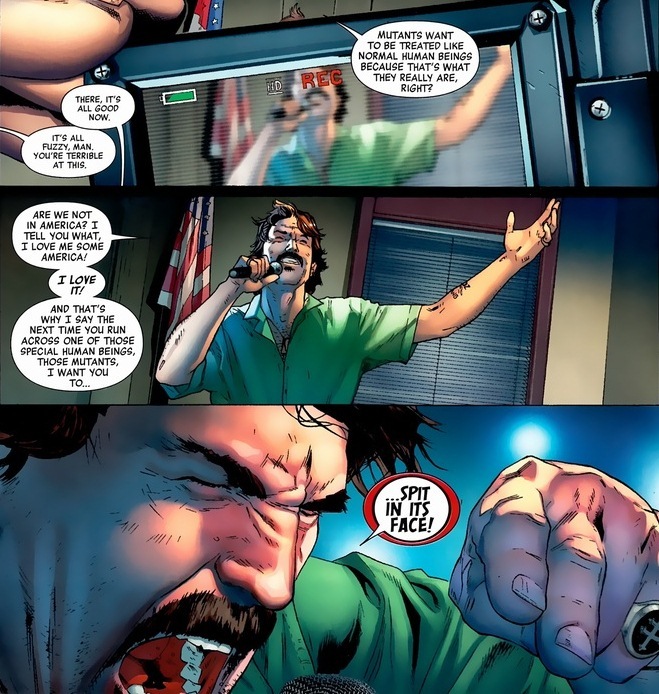 I mean, he probably shouldn’t brag to Cyclops or anything, but even Wolverine hacks up a dozen or so people an issue. As you can tell, Joseph has something more mysterious and sinister going on. Unfortunately for you, I’m not going to get into it. As a quick note, it involves conspiracies, corporate espionage, and arrogant backstabbing. Y’see, that last little rumble was the warm up. 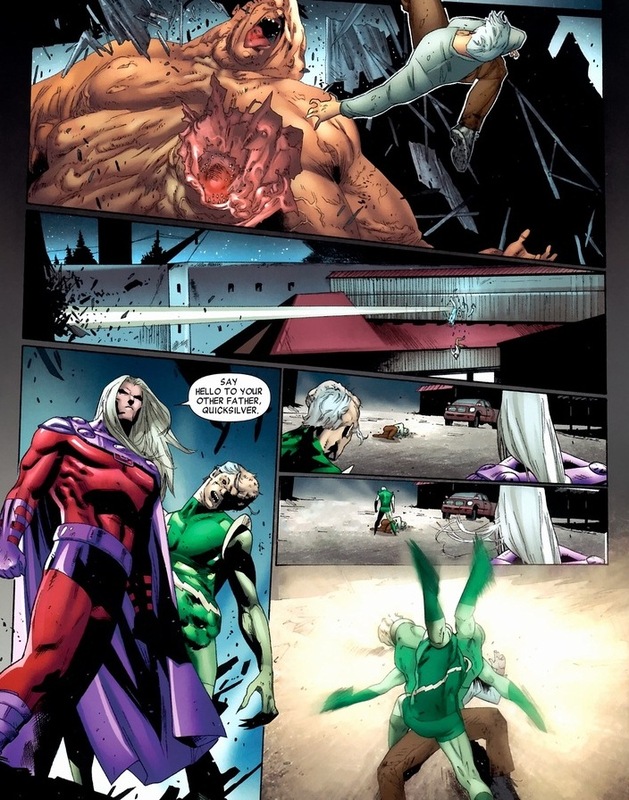 Magneto’s pissed, and nothing excites me more than the most powerful of characters “letting go.” Sure, it’s fun to watch the Hulk uppercut a giant lizard or something, but when he hits the giant lizard so hard that its torso changes from solid to liquid, my friends are going to hear about it. In a loud passionate recap. Whether that want to or not. Usually not. Round 2’s on Monday, kiddos. Who’ll win? Will it be Magneto? Or Magneto?